Jason Bateman and an ensemble cast get in way over their heads in Game Night which will be aired on DStv Channel 104, at 20h00 on April 13, 2019, in the M-Net Movies Premiere slot. In this wild comedy, a group of friends meet for a game night but find mystery, danger and chaos instead. 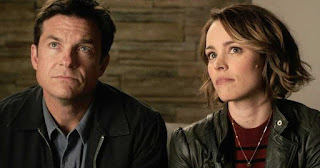 Directed by John Francis Daley and Jonathan Goldstein in 2018, the cast also features Rachel McAdams and Kyle Chandler.